Dr Oldridge is a Lecturer in Human Resource Management at Nottingham Business School teaching on a range of undergraduate, postgraduate and corporate programmes, including Organisational Behaviour and Human Resource Management. Louise is a module leader for several modules and also final year tutor on the BA (Hons) Business Management and Human Resources programme. 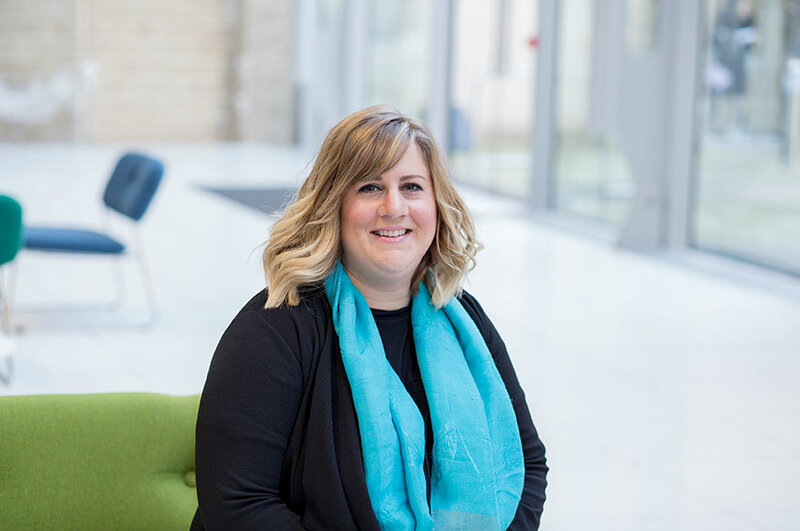 Before joining Nottingham Trent University Louise was a part-time Lecturer in Human Resource Management at De Montfort University. Alongside teaching responsibilities, she also worked with the Careers Team helping students prepare for video interviews and advising Careers Consultants on how best to support students for this process. As a result Louise taught at the University of Warwick on the Postgraduate Certificate in Career Education, Information and Guidance in Higher Education run by AGCAS. Prior to joining the Higher Education sector Dr Oldridge worked in industry for nine years for a number of organisations as a generalist HR practitioner, which has greatly informed her teaching. This included developing HR strategies and proactive HR Departments, gaining Investors in People status, and being instrumental in achieving integrated management system certifications. This was alongside the provision of of commercial and pro-active advice and support and application of policies including complex case management to multi-site environments together with coaching and support of managers. Dr Oldridge’s PhD research examined the care and career experiences of mid-life (age 45-65) women working in formal employment and caring for a dependent adult. It particularly explored sociological concepts of work and the consideration of informal caring as work, and resultant informal career development. Dr Oldridge works closely with practitioners and policy makers in the public sector. She has delivered a seminar series for the Home Office and collaborates with local authority strategy surrounding carers. Louise also writes with Professor Anne-marie Greene on her research surrounding the intersections of caring and career and has written a forthcoming book chapter with Catherine Abe on non-binary gender identities in legislation, employment practices and HRM research. Oldridge, L. (2019) forthcoming ‘Hidden care(e)rs: supporting informal carers in the workplace’, in Nachmias, S. and Caven, V. (eds) Inequality and Organizational Practice: Volume 2, Employment Relations, Palgrave Macmillan, New York [chapter pages to be confirmed]. Oldridge, L. and Greene, A.M. (2018) ‘'I'm an unpaid slave' – caring as unrecognised and informal work: reflecting on women's careers’, at The British Sociological Association Work, Employment and Society Conference 2018 at the Europa Hotel, Belfast, 12th – 14th September 2018. Oldridge, L. and Greene, A.M. (2018) ‘The unplanned care(e)r: Reflections of mid-life women combining formal employment and informal caring’,10th Biennial Gender, Work & Organisation Conference 2018 at Macquarie University, Sydney, Australia, 13th – 16th June 2018. Oldridge, L., Greene, AM., Larkin, M. and Nightingale, C. (2017) ‘“Why should I care?" Identities, expectations and motivations of mid-life female informal carers’, Global Carework Summit, Center for Women & Work at the University of Massachusetts, USA, 1st – 3rd June 2017. Oldridge, L. (2016) ‘Care(er): An examination of the career development of mid-life women who combine formal employment and caring’, CIPD 2016 Applied Research Conference, at University of Westminster Business School, 19th December. Oldridge, L. (2016) ‘The conflicting demands of the UK Government on older women’s careers’, at Work, Employment & Society Conference, at Leeds University Business School, Leeds, 8th September. Louise can offer comment on women’s careers and the interaction of caring and work.